As low as $97.50 per gallon! 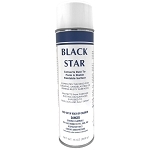 High gloss chemical and abrasion resistant epoxy coating. 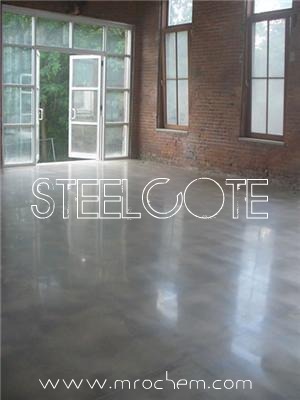 STEELCOTE is a two-component epoxy polyamide coating designed to provide a heavy-duty gloss finish to concrete floor areas as well as steel surfaces. 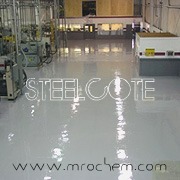 STEELCOTE imparts a chemically resistant, hard, durable finish not attainable with a conventional resin material. STEELCOTE is supplied as a two-component system with an extended pot life. This permits a unique 8 hour application period after mixing. STEELCOTE will then cure to a full gloss finish. STEELCOTE comes in a Silver - Gray color for a finish. STEELCOTE supplies outstanding hardness, durability, chemical, and abrasion resistance. 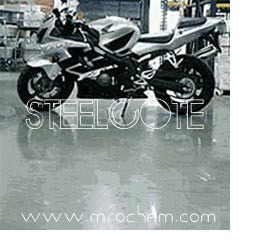 STEELCOTE is particularly suitable for warehouse and factory floors, electronic mfg. areas, food processing plants, pharmaceutical plants, boiler rooms, sewage installations, Agricultural equipment & machinery, etc. STEELCOTE is available in a non-slip formulation for stairwells, shipping areas, loading docks etc. Mix 1 part STEELCOTE mix A with 1 part STEELCOTE mix B. On unprimed surface, mix 1 part STEELCOTE mix A with 1 part STEELCOTE mix B and add 1 part of TOPSOLV 100 available from BEST SUPPLY CO. Apply above prime coat 1 day prior to the finish coat. On dense steel troweled concrete clean etch with TUFFCLEAN manufactured by BEST SUPPLY CO. or clean and degrease metal with CITRA CLEAN manufactured by BEST SUPPLY CO. as job conditions warrant. 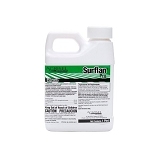 Technical service is available from BEST SUPPLY CO.
Phonelic core roller, spray or brush. Clean tools and equipment immediately after with TOPSOLV 100 from BEST SUPPLY CO.
Prime coat— 225 to 250 sq. ft. per gallon depending on porosity. Finish—300 to 350 sq. ft. per gallon.